Spy boss Robert Hannigan attacks Facebook and pals for their role in terror, then calls for a mature debate on privacy. In that order. You didn’t need to rummage through anyone’s personal emails to know which side of the privacy vs security debate the new head of GCHQ was going to come down on, but there will be no doubt now that Robert Hannigan has nailed his dossier to the mast in an inflammatory FT opinion piece. What may have surprised those without ears to the grapevine is Hannigan’s singling out the latte slurping, turtleneck wearing giants of Silicon Valley for his disapproval. The leading US tech firms are not working closely enough with the intelligence agencies to tackle internet crime, he said. ‘However much they may dislike it, they have become the command and control networks of choice for terrorists and criminals, who find their services as transformational as the rest of us,’ Hannigan said. ISIS jihadis, Hannigan added, were now savvy social media users, WhatsApping battlefield commands in much the same way as other ‘millenials’ arrange all-night raves in abandoned warehouses (or whatever it is they do). However, does that really make it WhatsApp’s fault? Would he blame the Department for Transport because terrorists were using the roads? The internet is infrastructure, inherently open for all kinds of use and misuse. The firms that provide that infrastructure may have a duty to make it safe, but cannot be expected to police how everyone uses it. 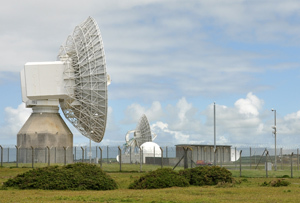 Hannigan points out that the intelligence services ‘cannot tackle these challenges at scale without greater support from the private sector’, calling for greater co-operation between the two (read: obedience by the tech companies) than has been the case since Edward Snowden’s revelations caused a public backlash against cyber-snooping. While this may make the world safer from terrorists, privacy campaigners have unsurprisingly objected. Emma Carr, the Director of Human Rights Watch, said in response to Hannigan’s piece that ‘the government and agencies have consistently failed to provide evidence that internet companies are being actively obstructive’. Meanwhile, Jim Killock, Executive Director of Open Rights Group, said that ‘it should be down to judges, not GCHQ nor tech companies, to decide when our personal data is handed over to the intelligence services.’ A framework of court orders underpinned by due process does exist, after all. Caught between customers who value their privacy and governments looking to crack down on criminals, the tech firms maintain that they co-operate where required by law and also do a great deal themselves to tackle crime on their services. For Hannigan, while there’s a need for a ‘mature debate’ about privacy in this country, this is not sufficient reason for ‘postponing urgent and difficult decisions’. The decisions, then, must precede the debate about the decisions, which sounds an awful lot like ‘shoot now, ask questions later’. A surprising attitude, really, from the head of an intelligence service.